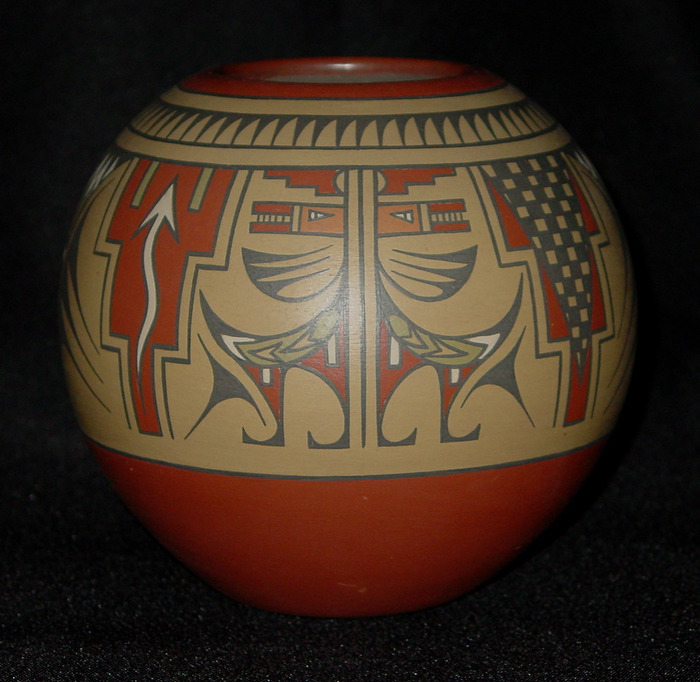 Margaret Gutierrez (born 1936) and Luther Gutierrez (1911–1987) were brother and sister potters from the Santa Clara pueblo, NM. 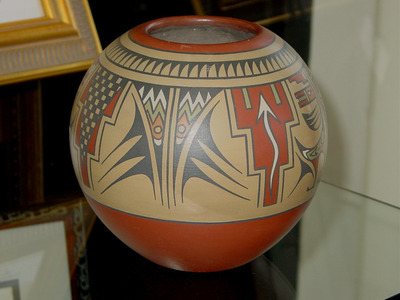 They continued the polychrome style of painting made famous by their parents Lela and Van Gutierrez. They learned the art from their parents and began making pottery together in the 1960s. 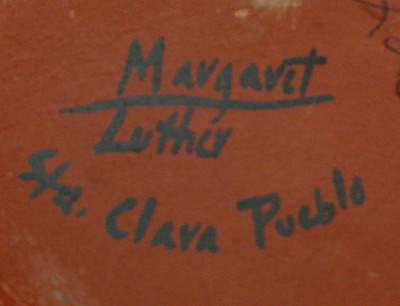 Margaret and Luther’s painted slips included unique color combinations. Their first creations included polychrome bowls, jars and wedding vases with designs centered on the Avanyu (water serpent), rain, clouds and lightning and sky bands. In the 1970s they came up with their original idea of making polychrome caricatures of animals and other smaller figurines rather than the jars made famous by their parents. These were painted with the same slips and pigments used on earlier pieces.